Janie Turner, who on Sunday died metres away from the memorial plaque of her younger sister, will be remembered for her bubbly character and generosity. 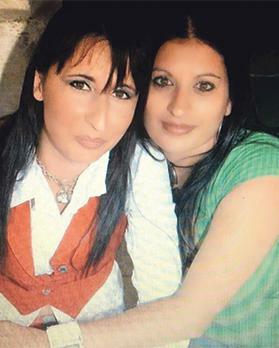 Janie, 45, lost her 17-year-old sister Carmen in a traffic accident on the same road in Mġarr 24 years ago. The tragic accident had also happened on a Sunday in August, and the young Ms Turner, who would have been 41 this year, had also been a passenger. Janie’s close friend Romina Borg recalled that Carmen was always on her sister’s mind. The two sisters had been very close, and Janie had bought her younger sister a bike with her first pay cheque. “That’s how Janie was – she was always giving something, whether something physical, emotional support, or a laugh. I haven’t lost my best friend. I have lost my sister,” an emotional Ms Borg told this newspaper. The woman will always remember Ms Turner, an animal lover, for her laughter and high spirits. How the Times of Malta reported the 1993 tragedy. The two have been in daily contact for nearly two decades, and for as long as she remembers, Ms Turner, who is survived by another sister, has always spoken fondly of her late sister. 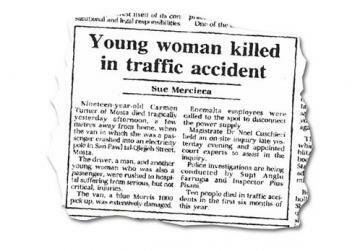 On August 2 of 1993, the Times of Malta had reported on the traffic accident that happened the day before, when the van in which Carmen Turner was a passenger, crashed into an electricity pole. The driver, a man, and another young woman who was also a passenger had been rushed to hospital suffering from serious, but not critical, injuries. Her cousin Josette Agius recalls that Carmen was returning home from the beach. Last Sunday’s accident, which killed Janie Turner, happened at around 3.15pm and resulted in one of the cars – a Perodua Kancil – smashing into a wall and ending up on its side on a slip road off Sir Temi Zammit Road. Ms Turner, a passenger in the Perodua Kancil, died on the spot. 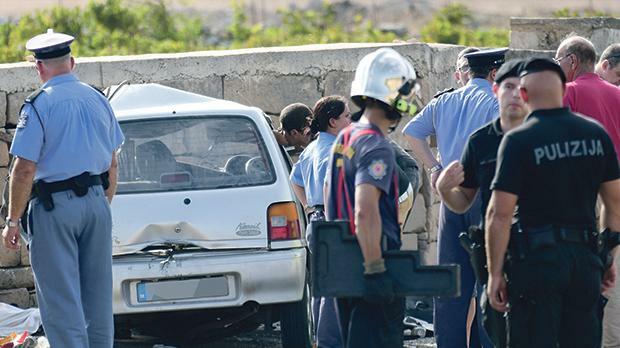 The car was being driven by a 41-year-old man from St Paul’s Bay, the police said. The driver of the other vehicle, a Mazda Demio, was a male from Santa Luċija, aged 26. Ambulances and rescue crews from the Civil Protection Department were deployed to the scene. Both men were taken to Mater Dei Hospital. The driver of the Perodua Kancil was found to be suffering from grievous injuries, while the other driver suffered slight injuries. Janie Turner (left) and her cousin Josette Agius. At one point policemen were seen searching fields bordering the road amid fears that a toddler – the woman’s son – might have been in her car because infant items were found inside the vehicle. Fortunately, he had not been with her. Ms Turner is a mother-of-three, with her youngest son aged three-years-old. Her cousin Ms Agius, one year her junior, grew up with the Turner sisters. She spent a lot of her free time with Janie and at one point they worked together. She too, will mostly remember Ms Turner for her good nature and kindness. 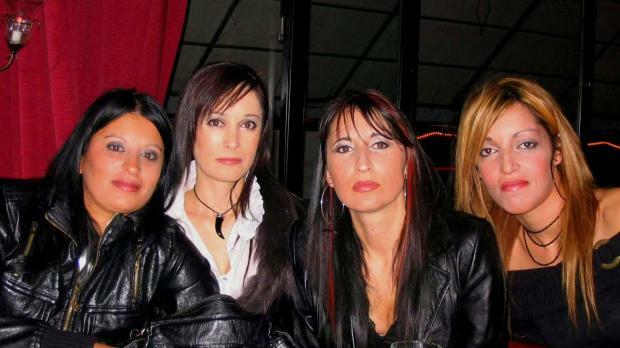 When news of Sunday’s tragic accident in Mġarr broke, her Facebook page was flooded with condolence messages, recalling Ms Turner’s affectionate and jovial character.